Wetlands provide numerous environmental benefits, including recharge area for groundwater, improving surface water quality and wildlife habitat. 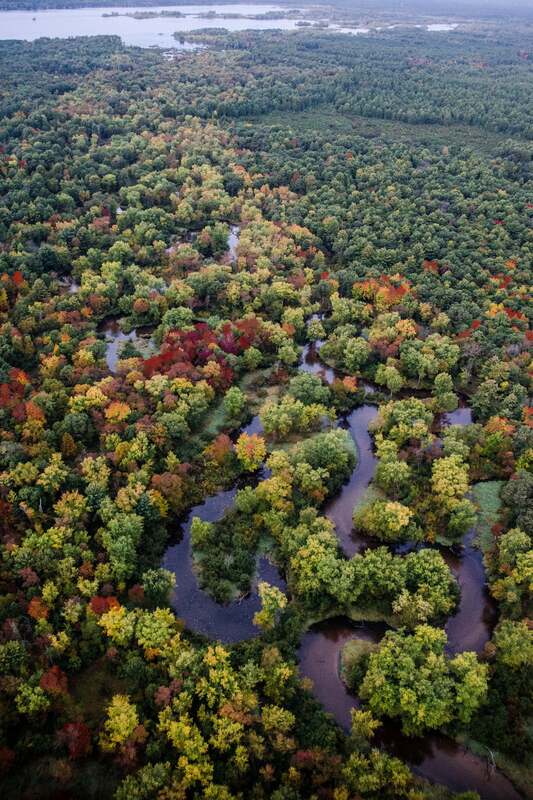 Wisconsin once had about 10 million acres of wetlands. About five million acres were converted to other uses and agriculture was responsible for converting about four million of these acres into crop production. Many of the remaining five million acres are impaired. About one-third of Wisconsin farmers have installed some type of drainage system on their farms with most of these drains being private systems. Wisconsin has 176 active drainage districts encompassing more than 400,000 acres. To further the complexity, wetlands are subject to federal, state and local regulations that at times are different. For example, a wetland connected to a navigable waterway probably is under the jurisdiction of both federal and state laws. But an isolated wetland probably is under the jurisdiction of state and local regulations. To complicate things even more, the regulations by each level of government can vary depending on the activity conducted in the wetland. The overlapping federal and state jurisdiction on some wetland activities leads to confusion and frustration. Potentially having to get a permit from both the federal government via the Army Corps of Engineers and from state government via the DNR to install a culvert as part of a road to reach a field or a cattle crossing to get to pasture can take time and is costly. Lastly, there is a growing public sentiment to preserve wetlands. The USDA’s Wetland Reserve Program works with willing landowners to restore and permanently protect wetlands. This tends to be done by converting farmland back to a wetland and leads to the question: What is more valuable farmland or wetland? We need to resolve this. We believe that a consistent set of definitions and guidelines need to be adopted for all wetlands. Furthermore, wetlands that have been farmed should be allowed to remain in agricultural production. We believe that farmers’ rights should be recognized in any wetlands legislation or regulations, including the right to maintain farm drainage systems and ditches. Any such legislation or regulations should compensate farmers for restrictions placed on any lands classified as wetlands. We encourage county regulations covering wetlands, flood plains and navigable streams be consistent with state regulations. We encourage the DNR to allow removal of silt and sediment from stream beds through a quick and simple approval process. Do other questions need to be addressed by Farm Bureau members? Specifically, what can agriculture do to enhance wetlands, while at the same time keep land in agricultural production? Bottom line, what changes, if any, should be made to federal, state and local government regulatory programs overseeing wetlands? To read the full issue backgrounder on this topic, click here. Photo by Sevie Kenyon, UW-Madison College of Agricultural and Life Sciences.